John of Bonk If You Don’t Know Velocio has a lovely bicycle with a great story. I’ve seen the bike in person, and have one photo of it saved from JimG, when he built a rack for it. 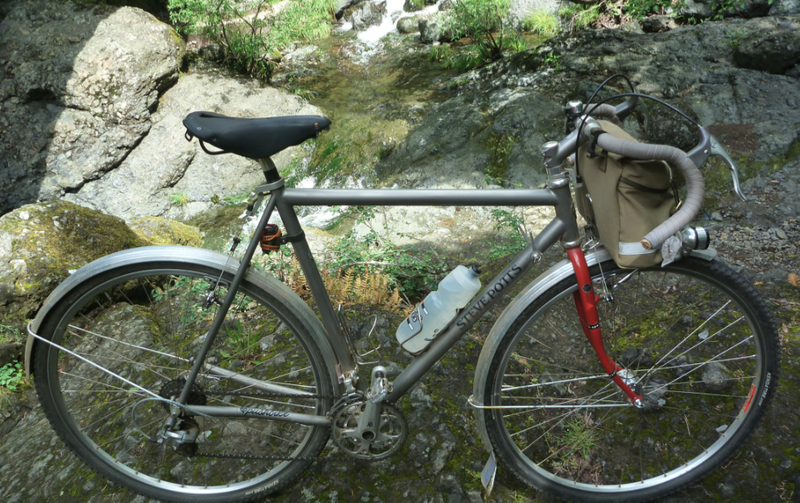 But I haven’t been able to find many photos of the bike from my faraway perch in Southern California. How else am I supposed to eye it! ?